Rome Photo Walking Tour will help you discover and experience a city through the eyes of a professional photographer. 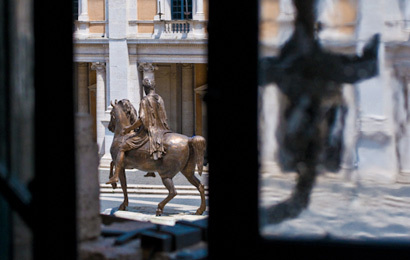 "Rome Through The Lens" is a program designed by Caterina Zalewska, a professional photographer based in Rome. Caterina studied art history in Rome and photography in Rome, San Diego and Warsaw. She specializes in art and classical music photography and runs her "walking workshops" in Rome sharing knowledge of her beloved city and passion for art. Caterina's Rome photo walks offer a balanced blend of sightseeing combined with learning how to improve your photography technique. Her walks take you through some of the most dramatic and photogenic party of the city from St. Peter's Basilica baroque splendors, to Via Giulia and Piazza Farnese with their unique character and street life, from Pantheon to majestic Roman Forum and the Colosseum. Catherine will teach you how to get the most out of your camera, how to capture the atmosphere of a particular scene, how to incorporate lighting conditions to create dramatic photos and how to compose a photograph to get the maximum effect. You will see Rome with new eyes, and will create images that express your unique experience.